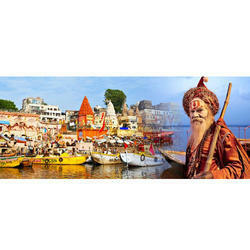 We are a leading Travel / Travel Agents / Transportation Services of varanasi ghat holiday packages, sarnath holiday package and varanasi pilgrimage holiday package from New Delhi, India. 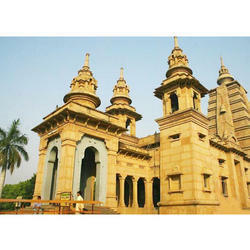 Then leave for Bikaner, a fortified city of red granite sorrounded by high medieval ramparts. This high seat of the Buddhism cult between the 3rd and the 12th century has preserved the serene ambiance of the park where Buddha delivered his first sermon. The museum houses a beautiful collection of sculptures; numerous temples and monasteries, more recently built, are home to scores of pilgrims. 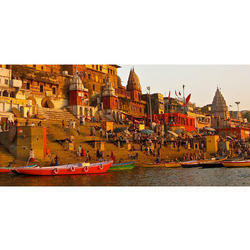 Named Varanasi by the Hindus, it is one of the 7 sacred cities visited on a pilgrimage, in order to bathe in the Ganges. A boat ride at sunrise is a must in order to catch sight of the pilgrims performing their prayers, the priests and the crematory logs. The fervor and the serenity that impregnate the city are unforgettable.